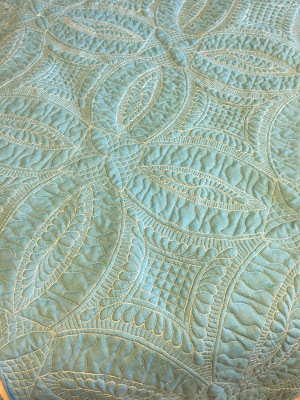 Only a little bit of quilting has gone on this week. This panel measures just over 17 x 26 inches, and provided I don't mess up the cutting, it should soon be transformed into two tea cosies. We shall see. I am hoping that there are plenty of industrious ladies out there who have got some sewing done over Easter and can put me to shame this week. The project in Week 86 that really caught my eye was Karen's metro rings quilt - here is the quilting as seen on the back. If you haven't seen her blog post yet, nip over now and see more photos. What many probably don't realize is that Karen quilts on her trusty old Bernina 165. 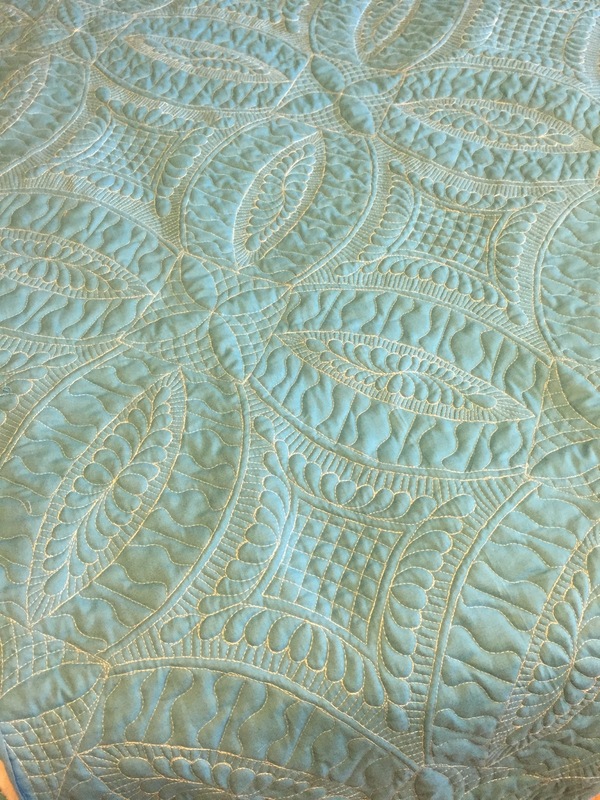 I've been at retreats with her and watched her FMQ, and I am in awe of her talent. I keep hoping if I sit close enough, some of her talent and artistry will rub off on me!!! !